Harajuku is the birthplace of Harajuku Fashion and Kawaii culture. Various subcultures have also been born from this town. “Purikura” is a very popular subculture of Kawaii in Harajuku. You can find lots of “Purikura” photo booths on Takeshita street. 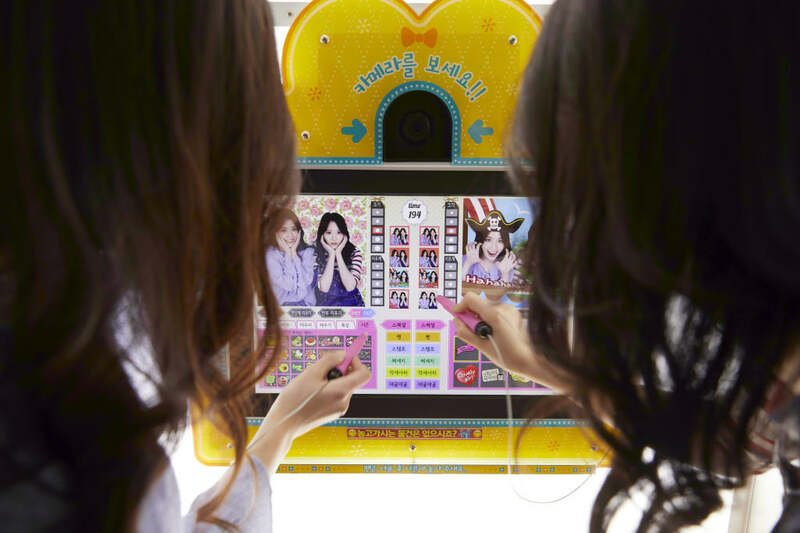 We’d like to introduce the Purikura photo booth in this article and hope you may want to try it when visiting to Harajuku. If you plan on visiting Harajuku, we would really like you to experience its “Kawaii” culture. And if you don’t know exactly where you should go to experience “Kawaii”, we have a tour for you. 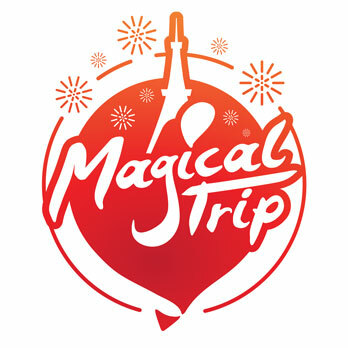 Harajuku “Kawaii” tour will take you to the cute spots guided by an expert who knows Harajuku well to double the fun! “Purikura” stands for the photo booth name, “Print Club”, which can print your photo on a sticker after you take a picture in a booth. Usually you can find a Purikura machine in a corner of a game center. There are lots of photo booths located in Harajuku, especially on Takeshita street. Some stores have up to 17 Purikura machines in Harajuku, and some even have fitting and powder rooms, which are very popular among high school students. Purikura is not an ordinary photo booth. Purikura lets you edit and process your photos, so you can customize each photos to your liking. Your photo will be printed onto a sticker, so you can get creative and stick it on various places. Also various processing styles are available depending on the model of the Purikura photo booth. For example, when you choose “Trend make function”, your face will look like it was done up by a professional makeup artist. 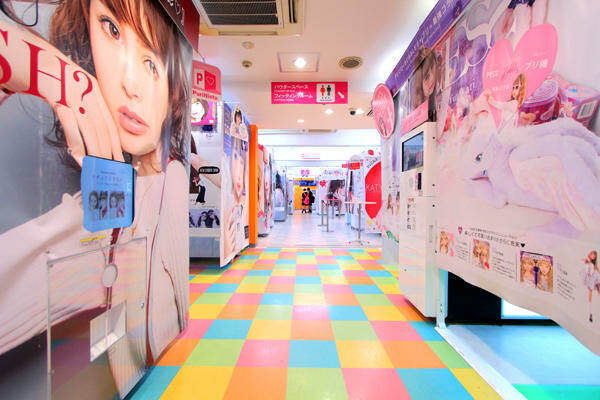 There are lots of Purikura shops in Harajuku and you will be able to find your favorite look. When you try taking Purikura picture, you should be aware that each Purikura photo booth has different functions. One machine is able to enhance your eyes making them look bigger, and while others can trim your face line making you look slimmer. By using these functions and image processing technology, you can achieve your ideal look without having surgery. Check and choose Purikura machines with your favorite function. Take a pose, then Smile! Posing is the key to taking fun pictures at a Purikura photo booth. A popular pose is to make a heart shape with your hands or to make a bigger heart shape with your friends using your hands and arms. Another popular pose among girls is to place your chin on your hands to make your face look smaller. After taking a picture, you move on to the editing and processing. On the editing section, you can enhance your eyes, adjust skin tones, and choose filters to give your photo a softer image. You also can write personalized messages on your photo while you are editing; leaving your comments on the Purikura pictures would create a nice memory of your trip to Japan.